This page will remain up for 2 months to allow people to read this message and bookmark the new location. Thanks for your understanding. We hope you'll enjoy the visit. 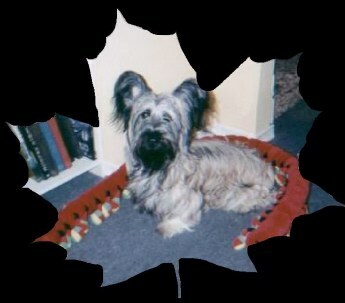 Thinking of getting a Skye Terrier? and enjoy seeing the pictures of those we love. We breed and show quality Skyes, and from time to time have puppies - or even an adult - available for sale to an approved home. As breeders, we care very much where our puppies go. and feel free to ask questions and find out if the breed is really right for you. but it is not a breed for everyone. If it is the right breed for you......it's an experience like no other. & Tons of FREE Dog Stuff! on the 'Contact Us' page.